Degenerative valve disease is a condition that leads to degeneration of the heart valves. 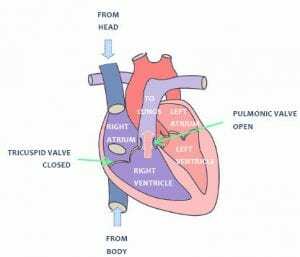 In the vast majority of cases it involves the valve separating the left part of the heart into left atrium and left ventricle – the mitral valve. For this reason it is often referred to as mitral valve disease (MVD). The valve separating the right part of the heart into right atrium and right ventricle – the tricuspid valve – is also affected in approximately 30% of cases. Uncommonly the aortic or pulmonic valves also present with signs of degeneration. The medical term for degenerative valve disease is “endocardiosis”. A degenerate valve becomes a leaky valve. Valves in the heart exist to ensure that flow occurs in only one way from the atria to the ventricles and from the ventricles to the lungs (right side) and the rest of the body (left side). 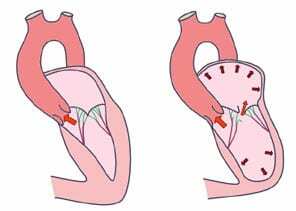 A valve that leaks will lead to a certain amount of blood flowing back into the previous chamber – regurgitation – and the heart will have to cope with more blood in successive beats. As a result of the surplus of blood in the left atrium caused by regurgitation, the left atrium will be forced to enlarge and the left ventricle will also have to become larger and pump more blood to compensate for the blood “loss” by regurgitation. The heart may be able to cope well with the extra work for a long time up to the point where the pressure in the left atrium is so high that blood accumulates in the blood vessels of the lung – congestion – and fluid leaks into the lungs – congestive heart failure with pulmonary edema. 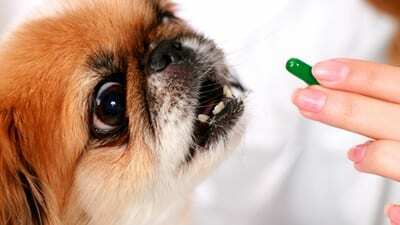 MVD most commonly affects small breed dogs, although a few large breed dogs occasionally present with this disease (i.e. German Shepherd). Prevalence increases with age with most of the dogs being over 5 years of age at the time of diagnosis. Cavalier King Charles Spaniels are an exception in which the disease may be detected at a younger age. The first step in diagnosing MVD is the detection of a heart murmur during a routine examination. The detection of any heart murmur should always prompt a cardiovascular assessment to assess the cause and severity of the disease. A scan of the heart with ultrasound/Doppler – echocardiography – is performed for this purpose. Chest x-rays may also be necessary to assess the presence and severity of congestive heart failure, as well as to monitor effectiveness of treatment. Unfortunately a cure does not exist for this condition. A combination of drugs is used to control signs of congestive heart failure and prolong life with the best quality of life possible. A diuretic (i.e. furosemide or torasemide) – to excrete the excess fluids in the body and treat congestive heart failure. Pimobendan – to improve heart muscle strength and dilate the blood vessels and lessen the load on the heart. This is started at stage B2 of the disease. It is important to remember that this is a chronic progressive disease that will worsen with time. Although appropriate treatment is effective in controlling signs of congestive heart failure and delaying it’s onset, it may not be sufficient to prevent it! It is of the utmost importance that regular re-examinations be performed (usually 3-12 months after congestive heart failure is resolved). What will happen during a re-examination ? At each visit you will be asked a number of questions to assess how your dog is coping with treatment and with the condition. After being examined, blood pressure will be measured and an echocardiographic examination (ultrasound) and chest x-rays will normally be repeated. Some blood tests will be essential to assess how the kidneys are coping with treatment and disease and also to provide further important information to consider for possible or necessary treatment adjustments. An easy and reliable way to monitor for signs of heart failure (fluid in the lungs or chest) is to monitor the breathing rate at home during sleep. Count the number of breaths in 15 seconds and multiply by 4. Values above 30 suggest the presence of heart failure. After any treatment adjustments a brief re-check at your vet may be necessary. The same blood tests will be repeated to assess the kidneys’ response to therapy, blood pressure and eventually chest radiographs in case the goal is to assess resolution or improvement of congestive heart failure. Usually this is performed 5-10 days after the initial examination. What will happen with time? 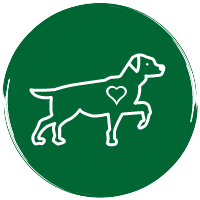 Although a proportion of dogs will eventually succumb to this disease, many will live relatively normal lives and pass away from other causes if the disease is appropriately treated. Some dogs will never show any clinical signs even in old age. Given these facts, this disease is often considered a benign condition. At any time, even with appropriate treatment, an episode of congestive heart failure may occur, typically characterised by labored breathing, coughing, exercise intolerance and fatigue. These episodes are usually treatable but it is essential that you seek veterinary care immediately if you recognise these signs, since without proper management death will occur, sometimes quickly, sometimes after a few days. The mitral valve leaflets are supported by a number of chords – chordae tendineae – similar to the spindles supporting an umbrella. These chords also degenerate and may rupture at any time. If this occurs, the “hole” in the valve will suddenly become much larger and the amount of blood regurgitating into the atrium may increase dramatically. The heart will no longer be able to cope with this and fulminant congestive heart failure and even death may occur. This may occur more readily during periods of fear or excitement. In extreme cases, the left atrium becomes so large and the walls become so thin and fragile that it may rupture. Fortunately this happens rarely but when it does happen, most dogs will die suddenly from significant internal haemorrhage and heart failure. This may occur more readily during periods of fear or excitement.